November 9 was the birth anniversary of Iqbal, which I spent mostly revising my second Urdu biography of Iqbal for a reprint. However, two of my articles were published in The Express Tribune, and I hope that they would be of some interest to those interested in the "applied" side of Iqbal Studies. "Anybody should think twice before buying an idea, any idea 'for which even the least enlightened man among us can easily lay down his life.'..." (Posted by Cynical). 2. Breaking down the Wall (Published November 11): The editor's introduction for this piece is, "If Ravi is India, then who is Vijay? Khurram Shafique revisits the 70s’ Bollywood blockbuster Deewar, a film which has constantly been the subject of analysis, and juxtaposes it with the current state of the subcontinent." Iqbal also features in this article, as he does in the movie itself (through his lyrics). I hope that the regular readers of this blog would be able to guess that the title of the article, however, was not suggested by me, but I think its good because it can draw more readers. I was particularly drawn to one of the comments posted there by a very polite reader, Manish, but I won't copy it here because it would be out of context then. You can read the article and comments on the website of ET. The clouds of war linger over the East and while some people there may suspect the hand of "Western powers", the people in the "West" are themselves harrowed by myriad problems, some of which are essentially similar to those elsewhere. Is it not the time for taking the first practical step towards a meaningful action based on the certainty that regardless of the odds, the intentions may not, would not and cannot fail eventually? It is not possible for any individual to outline the course for such action, but the first step towards discovering it collectively has to be a common understanding about our past - a simple and optimistic overview of the recent history of humanity highlighting some ideals on which nations have already agreed and may cooperate in future. This is the aim of this serialization of my recent publication, 2017, which will appear in weekly instalments on this blog on Fridays, so that input may be gathered from everyone as "comments", and possibly also related posts on other blogs. The first instalment is just an attempt to raise the question: can we reclaim the goal of "an age of plenty" for "all the nations" that was a commonly held dream in a recent past? The United Nations Organisation must immediately begin to be equipped with an international armed force… It would nevertheless be wrong and imprudent to entrust the secret knowledge or experience of the atomic bomb, which the United States, Great Britain, and Canada now share, to the world organisation, while it is still in its infancy… Ultimately, when the essential brotherhood of man is truly embodied and expressed in a world organisation with all the necessary practical safeguards to make it effective, these powers would naturally be confided to that world organisation [i.e. the United Nations]. 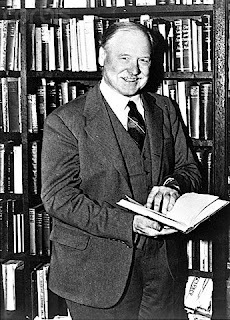 …If the dangers of war and tyranny are removed, there is no doubt that science and co-operation can bring in the next few years to the world, certainly in the next few decades newly taught in the sharpening school of war, an expansion of material well-being beyond anything that has yet occurred in human experience… there is no reason except human folly or sub-human crime which should deny to all the nations the inauguration and enjoyment of an age of plenty. Churchill may have been stamping his authority as a world power rather than making a prediction, but the dreams embedded in his words were being dreamt by so many at that time, even more ubiquitously outside the English-speaking world of the British Prime Minister. Less than seventy years later, those dreams not only seem to have failed but also to be forgotten. It was said that only folly or sub-human crime could prevent an age of plenty. Instead, we now find ourselves to be in an age where even the remembrance of such promises seems to be sub-human folly, if not also crime. The promised paradise may not have happened until now, but can it be reclaimed soon? Why or why not? Post your answers as comments. Her Majesty the Queen to the Olympics in London. The Muslim community in Britain celebrated Eid-ul-Azha on October 26. 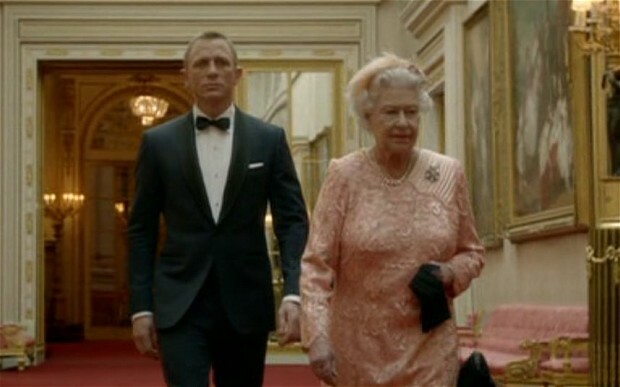 It was also the 50th Anniversary of James Bond movies. The latest, Skyfall, was released to mark the anniversary. It may not be a coincidence that the first James Bond novel was received in the same year when Sir Winston Churchill and Dwight D. Eisenhower directed their secret agents to topple an unfavourable government in Iran. Creative artists can sometimes assimilate a deeper current in the lives of their societies, and this may have happened to Ian Fleming. The secret agent created by him can be seen as an embodiment of the complications embedded in the post-colonial vision of the West, and perhaps also some of its apparent self-contradictions. Moreover, the continuous evolution of the famous spy also seems to be consistent with the evolution of that vision, and the present resurrection is a candid example. 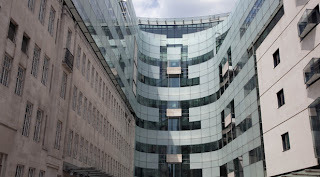 In the new century, a burning issue for Great Britain has been whether it should see its participation in the much-needed action against terrorists as "a war on terror" (as believed by the American allies), or whether terrorism should still be regarded as a mere "crime" and dealt with accordingly. The twenty-third official adventure of James Bond seems to be addressing this issue (and the high-point is the speech delivered by M to a group of decision-makers, where M ends up reciting lines from Tennyon's poem 'Ulysses'). It is beside the point whether this was actually the intention of the team who created this film. Being a creation of several minds, even a one-off film is a mystery that could be explored forever. The complexity increases where the film involves a legend that has been evolving for half a century and has brought out 22 predecessors. As such, the surface of a popular film's narrative can always be scratched to reveal something about the collective consciousness of its parent society. What may have always lurked beneath the surface of the 007 legend has perhaps come out most succinctly in the 80-second "official teaser trailer" of Skyfall (embedded below). or apprehensions about the future? "Some men are coming to kill us. We gonna kill them first." Is this how the British patrols stationed at Suez Cannal thought in January 1952 when they shot down 49 Egyptian policemen and invoked the wrath of the natives ("Some men are coming to kill us. We gonna kill them first.")? Were these the very words that rang in the mind of the CIA officer Kermit Roosevelt in August 1953, when he saved his job by stirring up riots in Iran that claimed 700 civilian lives and toppled a liberal democratic government ("Agent?" "Provocateur". "Murder?" "Employment."). The role of Western powers in the post-colonial era has generated many controversies (not to mention outrage and criticism). Skyfall might be one of the most useful resources for anybody looking for a well-rounded and honest answer, befitting the dignity of a former world power that has been known for its "sense of fact". Nevertheless, the answer is disturbing. It gives a basis for asking: Was the immortal James Bond born out of the pride of a wounded empire, or does he stand for apprehensions about the future? It may be counted as one of the special blessings of God on Pakistan that the life, work and even the death of its first prime minister was reminiscent of the early caliphs of Islam. Should we say that the present state of disorder is partially because we failed to cherish even the memory of this role model, let alone make any effort to emulate him? In the span of a mere four years, Liaquat transformed a penniless state into "the most stable country in Asia". Pakistan started with practically an empty exchequer but within the tenure of its first prime minister, it was offering loans to other newborn states like Burma. It had resisted the international pressure against devaluing its currency at a time when even India gladly succumbed to that pressure. All this without taking any loans from foreign powers. From being an unknown country obscured by a hostile neighbour, Pakistan became the undisputed champion of the freedom of other colonized nations, fighting their cases successfully in the United Nations, in a span of mere four years. 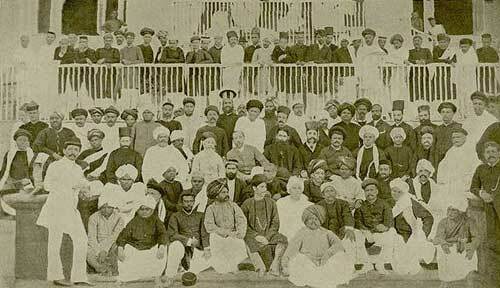 It had started taking practical steps for forming a block of Muslim nations for maintaining world peace. 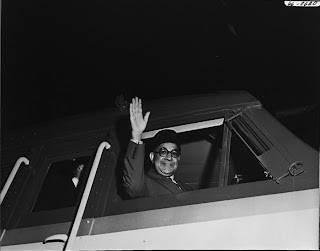 In any other country, a leader like Liaquat Ali Khan would have been hailed as a man of the millennium. One must wonder why in Pakistan his legacy is surrounded by malicious lies which have absolutely no basis in fact. The only plausible reason can be that he embodied the true ideology of Pakistan, which happens to be a rival to socialism, capitalism and conservatism at the same time. The last speech of Liaquat on October 16, 1951. The gunshot that killed him is audible. On the occasion of the 61st anniversary of the martyrdom of Liaquat, here are a few notes on the myths that surround him and a list of accessible readings that can be found online. Myth No. 1: Liaquat did not accept the invitation for visiting USSR. 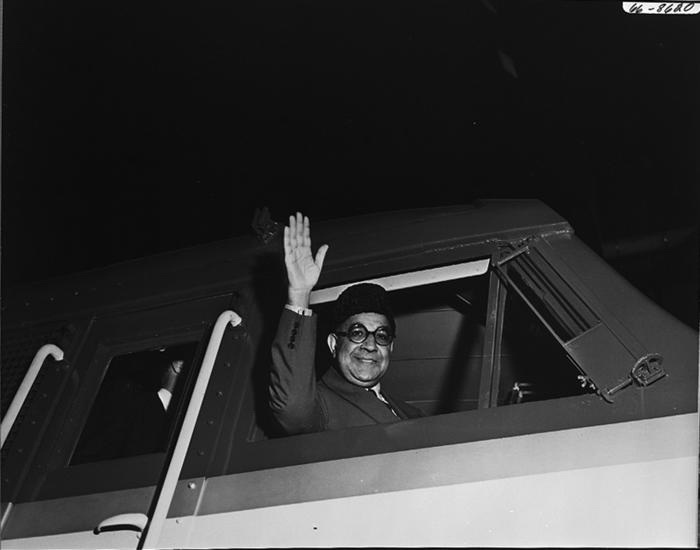 It is usually said that Liaquat Ali Khan did not accept an invitation for visiting USSR, and visited the USA instead. The truth is that he accepted the Russian invitation although it had been communicated to him just verbally. Consequently, the Russian government invited him to visit USSR but the suggested date coincided with the anniversary of Pakistan's independence. An alternative date was requested, which was never given by the Russians. See ‘Echoes of the Past’, a very detailed and well-researched article on this topic by Tariq Fatemi, former ambassador of Pakistan to EU, in Express Tribune. Myth No. 2: Liaquat accepted American aid. I may not have looked hard enough but I am yet to see any document or even a specific reference for this widespread rumor. On the contrary, Liaquat is on record for denying this accusation many times in front of the press as well as on the floor of the constituent assembly. For instance, on the eve of his departure to USA, he was asked by a journalist whether he intended to borrow loan on the basis of Truman’s Point IV formula. Liaquat’s reply, published in newspapers, was, “I’m not going there with a hat in my hand.” Objectivity demands that his statements be upheld until some evidence is produced to the contrary. Myth No. 3: Liaquat placed Pakistan under American influence. This myth is circulated only among the least informed. In most books, even where Liaquat is mentioned only in passing, he is remembered as one of the most influential but tactful opponents of imperialism who not only managed to keep Pakistan non-aligned but also started taking some practical steps for creating an independent block of Muslim countries as the third alternative to the two super powers of those times. See 'The Foreign Policy of Liaquat Ali Khan' by Shahid Amin published in Dawn). Myth No. 4: Liaquat Ali Khan turned Pakistan into a theocratic state / a secular state. The fact that the same person is "accused" of both these "offences" should give us a clue about the depth and seriousness of this allegation. Secularists denounce him for having proposed the 'Objectives Resolution', in which it was admitted that Sovereignty belonged to God (and the fact that the resolution was passed by the majority of a democratically elected assembly is not of much relevance to these detractors). Supporters of theocracy denounce him for being a secular ruler. Neither of these contestants seem to be interested in mentioning that Liaquat Ali Khan categorically stated that he was committed to the ideal of an Islamic state, but that he believed that an Islamic state was not a theocratic state and it offered equal rights to non-Muslim citizens. His claims were corroborated by the constituent assembly when the draft constitution presented by the basic principles committee made non-Muslim citizens eligible for contesting the office of the prime minister. This principle was never revoked during Liaquat's lifetime. A king entrusted his son to a team of scholars and they taught him numerous sciences until he became a complete master in spite of himself. Then the king put a ring in his fist and asked his son to make a guess. The son replied, "What you hold in your hand is round, yellow, inscribed and hollow." Overjoyed, the king asked him to name it and he replied, "It must be a sieve." "Alas!" Said the king. "You gave all the details that would baffle the minds of anyone, but the small point has escaped you that the sieve will not fit in a fist?" ...the great scholars of the age split hairs on details of all matters... but as for what is truly of importance and touches us more closely than anything else, namely our own self, this your great scholars do not know. They make statements about everything, saying, “This is true and that is not true. This is right and that is wrong.” Yet, they do not know their own self, whether it is true or false, pure or impure. In my endeavour to understand the Reconstruction, I have tried to list the key statement of each of the seven lectures and the preface. Personally I find it easier to "swim" through this ocean of a book by having this bird's eye-view first. The list is by no means definitive, and other readers of the book may come up with a different set, but I am offering these key statements here for facilitating discussion. Thought and intuition are organically related. All forms of intuition can be studied systematically, just like other thought processes. In principles, this is even true about revelation (وحی) of prophets even though we may not be practically equipped for carrying out such a study at present. Systematic study of revelation involves the appreciative side of our self as well as its efficient side. Our thought can also rise higher than itself and recognize five elements in our conception of God: that He is (a) Eternal; (b) Powerful; (c) Knowing; (d) Creative; and (e) Infinite Ego. Human being is a unity of life that can be best described as an ego (خودی): an intuitive unity that illuminates our consciousness. It is possible for this entity to survive after death. The cultural world of Islam has sprung out of the Unitive experience (معراج) of the Prophet (peace be upon him). Its cornerstone is the realization that humanity has outgrown the need for prophet-hood, priesthood or hereditary kingship. Therefore, the birth of Islam is the birth of inductive intellect. 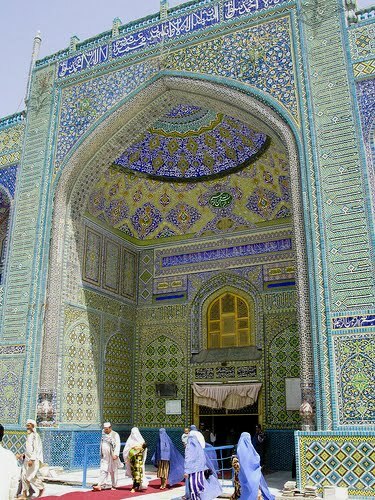 The essence of the Unity of God (توحید), as a working idea, is equality, solidarity, and freedom. The ultimate aim of Islam is a spiritual democracy, for which the present-day Muslims are better equipped than those in any previous time. In its higher manifestations, religion is neither dogma, nor priesthood, nor ritual but a deliberate enterprise to seize the ultimate principle of value and thereby to reintegrate the forces of one’s own personality. Recently, I was interviewed for BBC Radio Urdu Service. One of the questions asked to me was about the role of literature in society. The answer I gave there was restricted by the limited time of the interview but I would like to share a few details through this blog. Societies prosper when their poets, writers and artists portray beauty, love and hope, and when they offer an idealistic picture of the world - giving us a virtual experience of the world as it should be. Societies suffer and may perish when their posts, writers and artists portray ugliness and despair, and deny the centrality of love. Pessimism in literature cannot be justified by arguing that it is a depiction of the real world, because the purpose of art and literature is to paint a picture of the world as it should be, and not just as it appears to be. The first two of these principles were stated in a chapter on literary reform in Secrets and Mysteries (1915-22). The third was elaborated in 'The Book of Servitude' in Persian Psalms (1927). Both those works are in Persian, but the principles were later summarized altogether in English in the preface to Muraqqa-i-Chughtai. The overall conclusion to be drawn from these three principles is that literature is the main factor in determining the destinies of nations. Other variables also play their roles, such as politics, religious thought, science, education and so on. However, even the impact of those factors is eventually moderated by literature. In other words, if a society - or the whole world - is facing problems today, we first need to look at the kind of literature it has been patronizing. Did it place pessimist writers on the pedestal of high literature? Did it assign importance to literature which portrayed the world as it appeared to be? if the answer is yes, the primary cause of all the evils of a society - or the world - are rooted in its veneration of pessimistic and naturalistic literature. No matter what political course it adopts, or how religious and God-fearing it becomes, the society - or the world - is doomed to fail, and crash, unless it changes its literary preferences. Today the world seems to be on the brink of catastrophe, and the symptoms might be visible most clearly in Pakistan. What is the cause of these evil? Politics, religion, science and education may also have played a role but the primary cause must be sought in the kind of literature which has been venerated by academies and patronized by universities. Just as expected, we find that not only in the world in general but also in Pakistan, the only type of literature that has been held in praise is exactly the type which, according to Iqbal, is poison. Drink it and you die. We drank it and we are dying. As suggested in a previous post, it appears that in every domain of knowledge the current perceptions are just the opposite of Iqbal's. In 2017: The Battle of Marghdeen, I have tried to make a list of five key differences, for those who may be interested. My contention is that our perception of our world changes drastically if we adopt these changes. In my understanding, much of what has been written about the ideas of Iqbal has suffered from the fact that writers, especially after 1953, passively accepted the academically accepted premise in every domain of knowledge and attempted to interpret Iqbal accordingly. Whereas, I believe, Iqbal questioned those very positions. Further details can be found in 2017, and the supporting evidence for these statements is abundantly available in my third biography of Iqbal recently published by Iqbal Academy Pakistan in Urdu. Each statement forms the main objective of an online course at Marghdeen Learning Centre. We are usually told that the present times are an age of spiritual decline (a view which was originally articulated by Oswald Spengler and H.G. Wells during and after the First World War). We need to know that Iqbal believed the world to be already on the verge of “a great spiritual and cultural revolution” in 1923. He believed that Nature was “building up in the depths of life a new human being and a new world for him to live in” and therefore the spirit of modern times is fully consonant with spiritual advancement. We are usually told that pessimistic art and literature are more worthy of respect and attention than those products which present a desirable fantasy (an idea popularized by the French poet Charles Baudelaire in 1857, who called his poems The Flowers of Evil and described hypocrisy to be his ideal). We need to know that art and literature are collective dreams that come true, according to Iqbal. Therefore, they should present the world as it should be, and not as it appears to be. We are usually told that democracy is against the spirit of Islam (a point of view popularized by scholars like A. J. Arberry, who pioneered an intellectual movement against Islam, Pakistan and Iqbal in 1953). We need to know that “Democracy, then, is the most important aspect of Islam regarded as a political ideal,” according to Iqbal, as he stated in a seminal paper in 1909 (all his political views, which he offered subsequently, were elaborations on this basic idea). We are usually told that religion and science are locked in a perpetual conflict. We need to know that Iqbal observed in 1930, “The day is not far off when Religion and Science may discover hitherto unsuspected mutual harmonies.” By that estimate, we should be able to discover those mutual harmonies now. We are usually told that education is either an end in itself or preparation for a career. We need to know that “Education, like other things, is determined by the needs of a community,” according to Iqbal. Chief among these needs is to achieve “a real collective ego” by passing on the common ideals of the society from generation to generation. Now famously called The Choral Symphony, The Symphony of Joy or sometimes even The Ultimate Symphony, the last symphony of Beethoven was first performed in Vienna in 1824. Initially applauded by some and described by some others as "the fading glimmers of a dying genius", it soon came to be regarded as possibly the greatest symphony ever composed. The lines from the German poet Schiller which Beethoven introduced in finale (against the convention of symphony up to that time), actually prophecy a new age when "all men shall become brothers." The later French composer Hector Berlioz found "the novelty of the form" of the ninth symphony justified "by an intention that is quite independent of any philosophical or religious thought, which might seem equally reasonable and beautiful to anyone, be he a fervent Christian, a pantheist or an atheist, in short by an intention of a purely musical and poetic kind." (See The Hector Berlioz Website). The following excerpt from Matter, life, mind, and God (1923) by Reinhold Friedrich Alfred Hoernlé was summarized by Iqbal in the second lecture of The Reconstruction of Religious Thought in Islam (1930-34). (2) By this classification of sense-objects as “mental states,” or “mental impressions,” they are, at once, excluded from Nature as “physical” (“material,” “objective”). (3) Hence, they cannot be in any proper sense qualities of physical things (theory of “secondary qualities”: strictly, we should not say, “the sky is blue,” but, “it produces a blue sensation in our minds”). (4) As mental states they are effects produced in us. (5) The cause of these effects is matter, or material things, acting through our sense-organs, nerves, and brain on our minds. (6) The manner of this causation is mechanical, i.e., by contact, or impact; hence the physical cause must possess the “primary qualities” of shape, size, solidity, resistance. Two points, especially, stand out in this materialistic theory. The first is that the world of Nature is stripped of all sense-objects, of all colour, sound, smell, temperature, etc., which are all denied to Nature by being classed under the heading of “mind,” with the twofold result that (a) our ordinary way of speaking of perceptual objects and their qualities involves a complete illusion, and (b) that what remains of Nature must be conceived as consisting only of imperceptible entities, possessing only the primary qualities. The second point is a causal theory of perception: the sense-objects which we perceive are the effects produced in our minds by the action of the imperceptible entities on our sense-organs. In short, it is a theory, not merely of what Nature is, or is known to be, but also of what Nature does to the mind of the percipient. The net result is that Nature is split in two. What we directly perceive (the tissue of sense-objects) is divorced from the realm of scientific objects, which latter now figure precariously as the hypothetical and unverifiable causes of the impressions in our minds. Some physicists, straying into the field of philosophy of Nature, have endorsed this materialistic theory under the impression that it is at least in harmony with, if not actually implied by, the science of physics itself. But these adventurers are misguided. For, closely considered, nothing could well be less in harmony with this theory than the actual method of scientific investigation. As observer and experimenter, the physicist gets his evidence of what Nature is, and does, in the first instance through his senses. Yet, on the theory, this evidence consists of nothing but subjective impressions in his mind, and he is still separated from Nature by a gap which he can bridge only by means of a precarious hypothesis concerning the imperceptible Somewhat which may caused his sensations. In fact, were his practice not better than this theory, he could hardly move a step. Fortunately, in actual practice he forgets all about the theory and accepts all he observes as bona fide disclosures of Nature. He does not hamper himself by labelling “mental” whatever he perceives, and then guessing at the “physical” world “behind the veil.” He never thinks of sensations, but only of phenomena, and of what may be needed to explain them. We can change any walk of life indirectly by working only in our own area of influence. The key is understanding - and for now, I mean an understanding of "the new beginning" of Iqbal Studies. Without this understanding, even a well-meaning political leader with all the support of the people is more likely to fail than succeed. This is one of the major implications of the "new beginning" for Iqbal Studies (see previous post). It has been summed up as an "Organic Model of Social Sciences" in the final chapter of 2017: The Battle for Marghdeen. The following diagram is meant to explain it. History is the force that moves the human world. As such, it is a mystery to be unraveled. It is more than a record of the past because it is not just what is known. It is the complete series of goals collectively adopted and achieved by humanity, and those goals are influencing us whether we know them or not. Those choices, made by the people in the past are our destiny because they are influencing us just as our choices today are going to influence those who will come after us. Choices are not always made consciously. In fact, they are often made by our souls rather than our minds, and unfortunately the significance is usually overlooked because the act of making such choices is known by the name of “entertainment”. Whether it is a sitcom or a play by Shakespeare, it becomes a collective dream when enjoyed by many, and the dream comes true eventually. Literature commonly enjoyed by all segments and schools of thought in a society is the collective dream of that society. Dreams chosen through literature are turned into reality through politics (“Nations are born in the hearts of poets; they prosper and die in the hands of politicians,” Iqbal wrote in his notebook in 1910). Therefore, politics is not an independent activity (and most problems of today might be rooted in a failure to accept this). Politicians, as well as intellectuals and think-tanks working with them, may presume that their job is to wish anything they like and to try achieving it. In reality, it shall always turn out that they achieved only what the society had already dreamt of. Religion and science answer our questions about the reality around us. 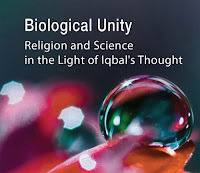 Since that reality is shaped through social and political action, interpretations offered by religion and science also evolve accordingly (“Ideas act and react on each other,” Iqbal wrote in his private notebook in 1910. “The growing spirit of individualism in politics is not without its influence on contemporary scientific thought. Modern thought regards the universe a democracy of living atoms.”). Through education, a society passes on its knowledge of things to the next generations. Since that knowledge is filtered through religion and science, education is invariably moderated by them. In turn, it affects the choice of literature in future. 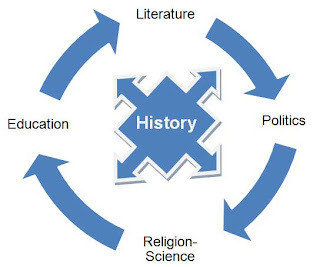 By understanding this connection between five important domains of knowledge, one can work in any walk of life, or even in one’s home, and still contribute towards social change with an informed vision. This is why we need "a new beginning" of Iqbal Studies. We need to have at least one key statement about each subject consistent with the vision of Iqbal. That statement need not be accepted just because Iqbal said so. It should be tested and tried, and accepted only if it yields a positive social change. 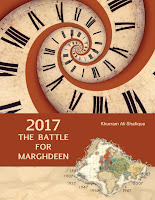 Did you find it difficult to download 2017: The Battle for Marghdeen from Smashwords? Just email me, and I shall send you the PDF. However, the advantage of registering with Smashwords is that you can review the book on their website and enjoy other privileges of membership. "This may be a summary or a prologue to a much more voluminous undertaking or multiple volumes effort." Actually, this is true. 2017 is a summary of key points which are being elaborated in some 6000 pages in the series of six books of Iqbal's biography in Urdu (the third book was recently published, as you may remember). It all started with the awareness that Iqbal Studies cannot be and should not be the study of Iqbal in the light of existing paradigms. Unfortunately, that has been generally the case. Some Iqbal scholars may disagree with me but it is my honest and humble opinion that we have only seen Iqbal through the eyes of the world and never seen the world through the eyes of Iqbal. This problem was pointed out by Iqbal himself and his earliest friends and followers as early as the 1920s. I have offered substantial evidence in the recently published third book of Iqbal's biography, Iqbal Darmiani Daur. See, for instance, my account of A Voice from the East, the first full-length monograph about Iqbal written and published by his associate Sir Zulfiqar Ali Khan in 1922. 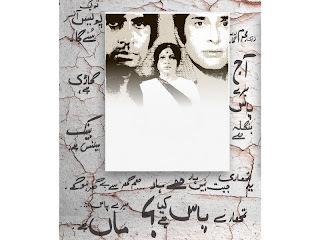 Many of the reviews published in Urdu after the English translation of 'Asrar-i-Khudi' have also been excerpted in my book, and they voice the same concern. The concern was voiced most boldly by Waheed Ahmad Masud, whose excellent article has been included in entirety as appendix in my book, for this very reason. The major concern voiced by all these writers, headed by Iqbal himself, was that it is not sufficient to see Iqbal from the perspective of the existing knowledge, whether Eastern or Western. In fact, it could be dangerous and misleading. Instead of seeing Iqbal through the eyes of the world (or at least in addition to doing so), we must also see the world through the eyes of Iqbal. This was the line of thinking that led to the creation of Pakistan. Unfortunately, it was abandoned almost completely soon after the birth of Pakistan. If we look at the aims and objectives listed in the journals of Iqbal Studies started in Pakistan in the 1950s, we see a list of subjects in which Iqbal was interested or which had been touched upon in his writings, such as history, literature, social sciences, religion, education and so on. There is no mention that these subjects need to be studied in the light of Iqbal's views. Quite the contrary, an unwritten convention soon developed that Iqbal's views on all the subjects must be regarded as "dated" (actually, as "outdated"). Since Iqbal had died in 1938, the views and theories which had emerged in social sciences and humanities after that time should be followed and the works of Iqbal should only be interpreted in the light of these new theories. This is the convention which I want to challenge, and challenge it boldly. I understand that I shall end up offending many Iqbal scholars (some of them very well-meaning), but it is my humble and honest opinion that the name "Iqbal Studies" can only be given to the study of things from the perspective of Iqbal, and not to anything else. To study the philosophical ideas of Iqbal in the light of existing conventions of philosophy is not Iqbal Studies. It is just the subject of Philosophy, with Iqbal added to the syllabus. To study the poetry of Iqbal in the light of existing conventions of literary criticism is not Iqbal Studies. It is just Urdu Literature, or Persian Literature, and so on. So on with history, religion, science and education. This is not just an academic debate. It is a matter of life and death (in my opinion, and I do not mean any disrespect to those who may think that I am exaggerating). I say this because in every field of study - in every area of human perception and understanding - the results change drastically when the principles of Iqbal are applied independently. In some areas, what we consider medicine is poison according to Iqbal and what we usually shun as poison is the necessary food according to him, without which we may die. For Pakistan, the major implication is that we find a clearly defined list of options from which we can choose in order to solve our present problems and, perhaps, turn Pakistan into a world leader with least resistance and minimum effort. For the world, it holds a promise of peace, happiness and self-discovery on an unimaginable scale. This is what I have tried to describe in 2017, and the supporting evidence is coming out in thousands of pages in the six-book series of Iqbal's biography. 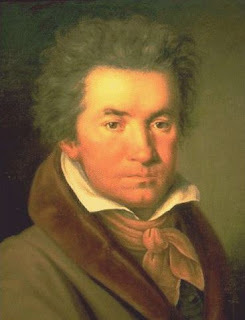 The eighth symphony of Beethoven was first performed in 1814, when Beethoven was 43 and was growing increasingly deaf. It would turn out to be the shortest of all his nine symphonies. himself called "The Little Symphony in F". Critical acclaim would forever remain divided: it is said that Beethoven himself was asked why it was less popular than his seventh and he replied, "Because the Eighth is so much better." (See Wikipedia). Generally, the posterity has described the symphony as "light-hearted, though not lightweight, and in many places cheerfully loud" whereby "various passages in the symphony are heard by some listeners to be musical jokes." (See Wikipedia). Religious passion, at length, is the best illustration of all this: for this is the mark of religious passion, that a specific view of the whole makes conscious connection with one's practical ultimata. The “deepest of all inborn impulses,” says Professor Pratt, “is the ‘instinct for self-preservation’”: and what is to set that impulse trembling? “a belief in the impossibility of real annihilation.” Belief founded on what? founded back on the instinct itself? doomed then to death and silence. Founded on vision perhaps? 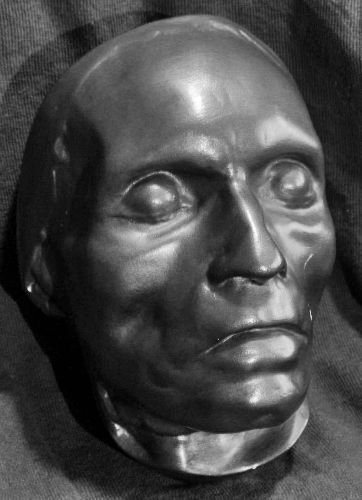 If ever upon the stupid day-length time-span of any self, or saint either, some vision breaks to roll his life and ours into new channels, it can only be because that vision admits into his soul some trooping invasion of the concrete fulness of eternity. Such vision doubtless means sub- conscious readiness, and subconscious resonance too, but the expansion of unused air-cells does not argue that we have ceased now to breathe the outer air: the very opposite! No. The so-called wisdom of feeling is of the same stuff and substance with other wisdom, positive, objective, belonging to our world of ideas. The religious vista is large and open: in integral continuity with the field-lines of our overt existence (not narrowly caught by peering up back-chimney-flues of consciousness). Whatever is thus continuous with the real known in idea is itself known in idea, not otherwise. There are vague ideas, and unfinished ideas, uncertain predicates, qualities only dimly divined known most certainly by their difference from others, their negative bearing but none of this haze and floating outline affects the intent and category of the scene-contents. Whatever is, or can be, predicate of idea is itself idea-stuff, whether or not yet successfully defined and connected. 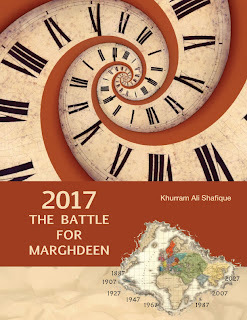 At midnight Pakistan Standard Time, 2017: The Battle for Marghdeen went live at Smashwords. You can pick it up by following the link below. And, for a short time only, the 65th Independence Day of Pakistan and Laylatul Qadr are being celebrated by leaving it open for free download to anyone who uses the coupon code available below. Scroll down the page and choose a format - epub, Kindle, PDF etc. Note: This offer expires at midnight, 18 August (California time). Marghdeen is the name of the ideal society conceived by Iqbal, the foremost Muslim thinker of modern times, in 1932. It is a world where life is inside-out, people know their destinies and there is no poverty, neediness, crime or injustice. In 2017: The Battle for Marghdeen, the author shows how such a society can be achieved in a short space of time, as long as we are prepared to change our perception of history and other domains of knowledge. This book presents the basic principles for achieving Marghdeen. They are illustrated with examples from modern history. There is a special emphasis on Pakistan and the Muslim world, but the principles can be applied anywhere in the world. 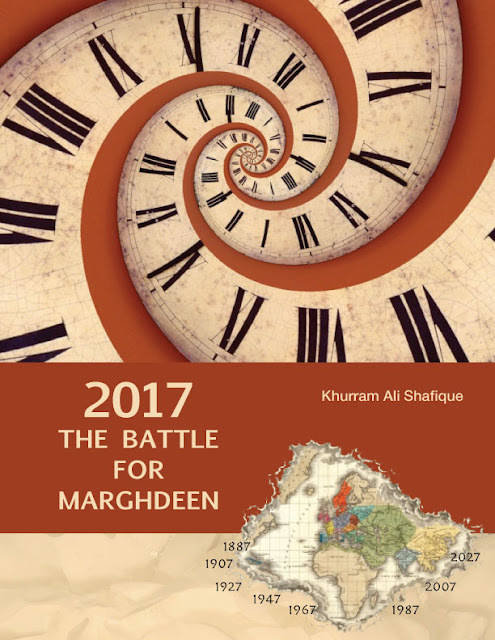 Would you like a free ebook of 2017: The Battle for Marghdeen as soon as it is published tonight? Some coupons will be made available from this blog for a limited time. Marghdeen is an ideal city presented by Iqbal in Javid Nama. There is no poverty, crime or injustice. Life is inside-out and people know their destinies. In my new book, 2017, I have tried to explain that Marghdeen is a parable about our times. It describes what can be achieved today, if we are willing to understand the principles and bring a change in how we see the world. The book is just 80 pages, but has taken me five years to write. I hope that everybody will find it readable and interesting - some kind of "non-fiction thriller". It will be released electronically by Libredux, UK, tonight at midnight when Pakistan celebrates its 65th Independence Day. A special post will be uploaded on this blog and sent out in the newsletter at that time. On 19 Ramazan, 40 AH, the Kharijite Ibn Muljam sneaked a poison-coated sword into the grand mosque of Kufa, where the caliph Ali was supposed to lead the morning prayers. The assassin stood in the first row when the caliph led the prayers, and struck him on the head when he went down in prostration. The attacker was caught, bound in ropes and brought before him. Suffering from the pain of a fatal wound in his forehead, Ali was still quick to notice that the ropes were so tight that they were cutting into the flesh of his assassin. He ordered the knots to be loosened, and the assassin be treated humanely. He also ordered that in the case of his death, only the assassin should be punished and no harm must come to the culprit's family. Of course, if Ali survived, the attacker was going to be pardoned because Ali did not believe in personal revenge. In Love's eyes Ali is the treasure of the Faith. So that I am as a shining pearl. Like perfume, I am straying though his pleasure garden. If wine pours from my grapes, he is the cause. Song can be seen in my breast. All things pay allegiance to his House. God in the Koran called him "the Hand of Allah." Knows what is the inner meaning of the names of Ali. It is extremely interesting to watch the birth and growth of a new ideal among a people. O! the enthusiasm it inspires and the force with which it attracts all the energies of a people to one common centre. The modern Hindu is quite a phenomenon. To me his behaviour is more of a psychological than a political study. It seems that the ideal of political freedom which is an absolutely new experience to him has seized his entire soul, turning the various streams of his energy from their wonted channels and bringing them to pour forth their whole force into this new channel of activity. When he has passed through this experience he will realise his loss. He will be transformed into an absolutely new people – new in the sense that he will no longer find himself dominated by the ethical ideals of his ancestors whose sublime fancies have been a source of perpetual consolation to many a distressed mind. Nations are mothers of ideals; but ideals, in course of time, become pregnant and give birth to new nations. Laylah tul Qadr, or "the Night of Destiny" is one of the odd-numbered nights among the last ten of Ramazan (it is also translated as the night of Power, Majesty or Grandeur). According to Chapter 97, 'al-Qadr', the Quran was revealed ("bestowed from on high") on this night. According to a common Muslim belief, this was 27 Ramazan, 13 years before migration to Madinah (some authorities suggest alternate dates). Behold, from on high have We bestowed this on Night of Destiny. And what could make you conceive what it is, that Night of Destiny? does it make secure, until the rise of dawn. (This is approximately how Muhammad Asad translates the chapter). In Pakistan, this chapter of the Quran is also a reminder of a happy coincidence. Pakistan was "the final destiny" of its people, according to Iqbal, and it was also described by him as "an unborn world of the Quran". This unborn world of Quran came into being on the same night which was the anniversary of the revelation of Quran itself: 27 Ramazan (coinciding with the midnight of August 14-15, 1947). Pakistan was born on the Night of Destiny. Can the country also work as a clue for showing us how destiny works in our lives? "Never did I, for a single moment, doubt that Pakistan would survive," said the first Prime Minister of Pakistan. "For I think, indeed I believe, that we had not done anything to deserve so high a boon as Pakistan, and that God will not deprive us of this boon unless and until we prove ourselves, by our misdeed, to be unworthy of it." Let's remember this when we celebrate the Independence Day this year. The electronic edition of my new book will also be released on that date. The print edition will follow later. The book is in English, and is approximately 80 pages. It is called 2017: the Battle for Marghdeen. I hope that it will offer some more explanation of issues which I have briefly touched upon in this post. This Ramazan, I am announcing two new books. The first is Iqbal: Darmiani Daur (Urdu). The other will be a non-fiction thriller, released internationally on the midnight of August 14 (Pakistan Standard Time) - for a reason. In January 1914, the nations of the East were at their lowest ebb. The Ottoman Empire had been recently humiliated in Tripoli and Balkans. The Muslim states of Northern Africa were being devoured by European powers, one by one. Persia's vulnerability to the expansionist designs of Russia and Britain had been exposed. Afghanistan was hardly independent and South Asia was under the British rule. Nine years later, by December 1922, East was rejoicing in its awakening and brimming with confidence. Turkey had emerged as a new republic, promising to be more stable than the war-weary nations of Europe. British India was shaking with a full-scale movement for independence, more widespread and better organized than the "mutiny" of 1857. Afghanistan had regained full independence and started to modernize itself. Persia and Egypt were on the verge of regaining their past glories. Morocco had inflicted humiliating defeat on Spanish invaders, using guerilla techniques that were already inspiring a young Mao Tse-tung in China, and would later serve as role model for Che Guevara. How did this happen? This is the question which I have tried to answer in my new book, Iqbal: Darmiani Daur. 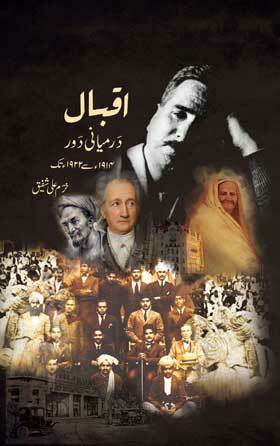 It is a biography of Iqbal in the middle years of his life: 1914 to 1922. However, it is much more than a biography. I am trying to tell a true story that has never been told before, and the story is not about the past. It is about the origins of our present. The book is almost one thousand pages, and the cover price is Rs.1000 (One Thousand Rupees). However, discounts are available since the publisher, Iqbal Academy Pakistan, is dedicated to spreading the message of Iqbal. If you are interested, kindly let me know and I shall see how the book can reach you as conveniently as possible. Iqbal and Quran: "the new method"
are like the creation and resurrection of a single soul." Many online services allow us to create multiple identities. Hence, if you are William James, you can be William1910@gmail.com as well as James000@gmail.com, and so on. You would be the real person while these profiles or avatars would be your virtual selves, and you may have as many as you like. "...the individual as such is a mere abstraction, a convenient expression for facility of social reference, passing moment in the life of the group to which he happens to belong." A year later he wrote in Urdu, "The individual exists only with reference to the nation, and is nothing on his own; the wave is in the river, and nothing outside it." He kept repeating this idea until his very last breath: his last poem, 'The Human Being' (حضرتِ انساں) was an ode to humanity as a collective ego. Our reluctance to accept that this is what Iqbal believed is perhaps the main reason why we fail to understand him. Not only our education but even the social, political and religious institutions in the post-colonial world seem to be conditioning us in the opposite direction. Is that why we have become so unreal? Iqbal believed that we become real only when we annihilate our individual self, ego or soul, in the collective ego. He called it "bekhudi" (بیخودی) - translated by A. J. Arberry as "selflessness". This selflessness, or the diminishing of the individual self in the collective ego, has an educational purpose. It is the method suggested by Iqbal for discovering the "Unseen" in our souls. The "Unseen" thus discovered is not a magic lantern of spirits. It is a living experience of the kind of biological unity implied in the famous verse of Quran, "Your creation and resurrection are like the creation and resurrection of a single soul." (31:28). It gives us personal, moral and political power - power which can be verified and used in the real world. It goes without saying that there need not be any quarrel with those who understand or practice these matters differently. What Iqbal has offered is just a new method, which may be tried out to see whether it gives what it promises: secrets, mysteries and moral power.